Center stone (Round) sizes starting at .75ct based on GIA I color SI clarity. 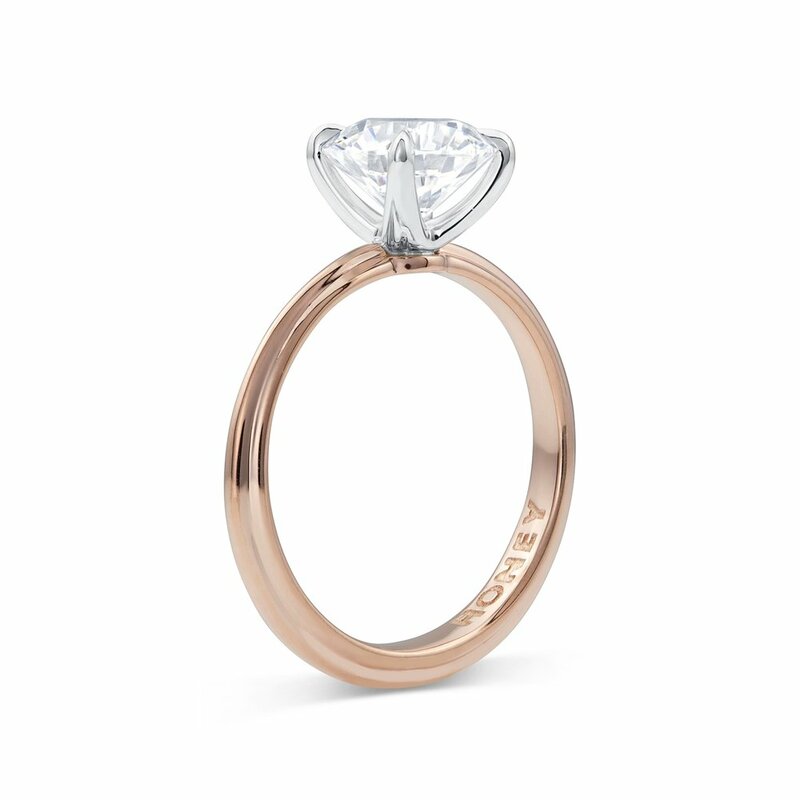 Available in 14k and 18k Yellow, Rose and White Gold as well as Platinum. Claw-Prong set center stone. Available with double claw on 1.0ct center stones and larger.